Day 4 of June sneak peeks! Thanks for coming back on day four of sneak peeks! We're excited to have you back! Father's day is just around the corner and we thought this set was very fitting for a lot of fathers. Create gifts or cards with this set....take a look at the samples! Everyone loved our little classic cars we put out last year, so we decided to do a couple other cars we thought would be of interest! June Value Verse: Value verses are 20% off everyday at Clear Dollar Stamps! What can we say about Norman? Simply adorable! Day 3 of June sneak peeks! Day 3 of sneak peeks! Let's get started! Mushrooms are big again! Does anyone remember all the mushrooms from the 70's? I have a set of glass kitchen canisters that my mom painted for my grandmother, with mushrooms on them. Yes, I am using them! I just thought this little set would be perfect for any occasion sort of cards. The samples turned out so cute! This set is so sweet! I think this would be a perfect set to make cards to send as an encouragement to a young parent struggling through the early childhood years, to make a scrapbook/guidebook to give to young parents on tips you used with your kids that worked, for children's church ministry leaders.....and so much more! This stamp just fills your card and makes a statement! Perfect by itself or teamed with sentiments and flowers! I don't know many fathers who don't like to barbeque! This set will help you create Father's day cards and scrapbook pages in a flash! I had a dental assistant request this stamp....I thought it would be a great idea for scrappages or a gentle reminder to brush your teeth! Welcome to day 2 of sneak peeks! This set is perfect for so many purposes: Church card ministries, leaving a witnessing tract, reminding a fellow believer of God's promises. Any way you use it, this set will be a blessing! This little bunny is so sweet taking a nap in his pot of pansies! He just colors up so cute....I say this bunny is a he because a little girl just wouldn't smash up pretty pansies like that, would she? This is just a must have set, don't you think? 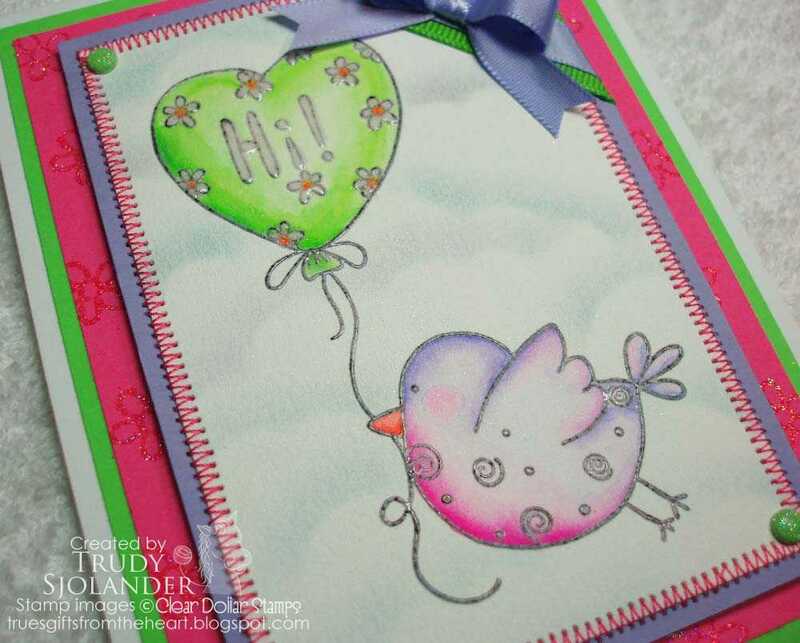 These little birds are just adorable and are a "tweet" way to just say hello! Remember that you can now buy this set for $6.99 during its release month or earn it for free with a $50 order! This dove is perfect for weddings, christian cards, or even a sympathy card. 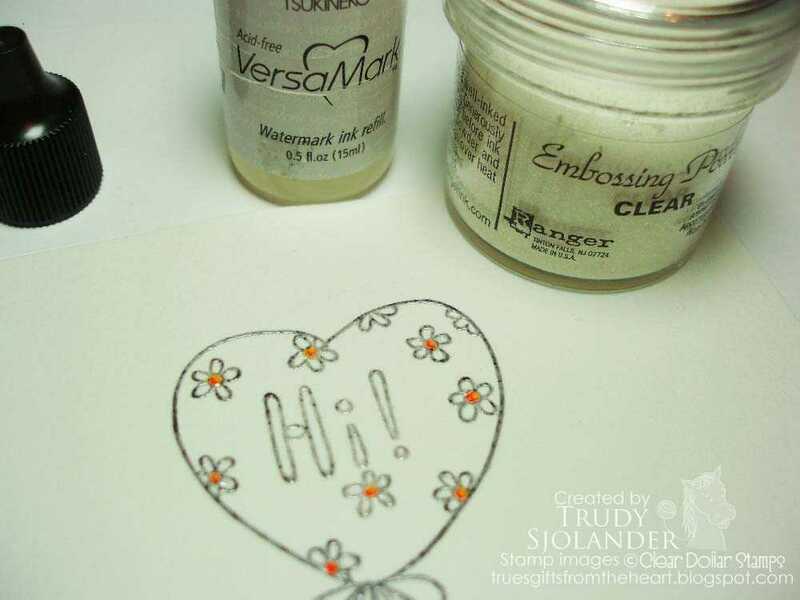 A perfect little stamp to have on hand for many occasions! See you tomorrow for day 3 or sneak peeks! Let the June sneak peeks begin! We have day one of Sneak Peeks for June....but it isn't stamps, we are starting with the Clearly Coordinating color line we are introducing for June, Rustic Fall! I know many members of my DT have said this is their favorite, so maybe it will be your favorite too! We have laid the ribbons, copics, and cardstock side by side for you to take a look at: The first row is ribbon, the second row is the Tombow marker that matches, and the last row is the cardstock. 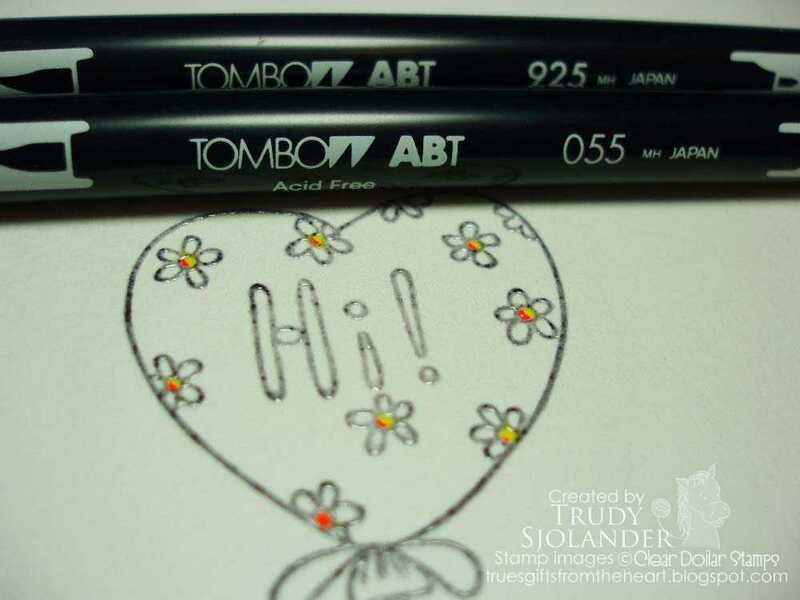 Below this you will see the matching Copic markers colors! Isn't this a nice group of colors? Look at some of our samples using these wonderful new Rustic Fall colors! Here Laurie has used Pucker Up, Mossy Woods, and Hot Cocoa....just beautiful! Here Lori has used Deep Sea, Melon Spice, and Mossy Woods. Laurie used Toasted Almond, Hot Cocoa, and Worn Parchment. This sample is just gorgeous! Here Lori has combined a Rustic Fall color, Ripe Olive, with a Spring Whispers color, Cotton Candy. It turned out so pretty! Linda A used Wild Ginger, Pucker Up, and Hot Cocoa. What a rich combination! See you tomorrow for day two of sneak peeks....you've already seen a sampling of a couple of our new sets, Mushroom Whimsey and Jesus is Knocking.....aren't they gorgeous? Hi friends, before we get started with Tuesday's tutorial, I just wanted to remind you that we've got our monthly challenge going on right now. You have until June 3rd to join the fun. 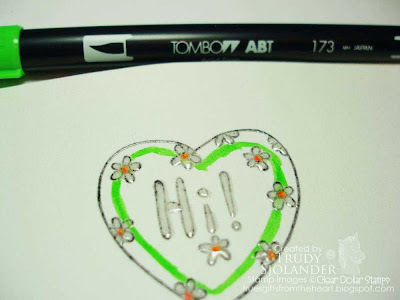 Now for todays fun...Katie here and its Tuesday which means that I've got a tutorial for you. Yup... if you didn't know it, its graduation time all over the nation. One of the most popular gifts for any celebration these days are gift cards. As soon as the kids get old enough, I send out gift cards, but one of the dilemmas is how to package them. Today, I decided to box up my gift card. I like the idea of having something a bit more 3-dimensional to give and to decorate. My first inclination is to go the traditional black and white since I don't actually know a person graduating this year, but I opted to go with my other inclination at the moment... BRIGHTS! I have been absolutely loving the all the bright colors in the Summer Fun Clearly Coordinating Collection line. If you are new to this line, Lori offers these colors in color packages or a combination package... best of both worlds. Graduation is a big deal and its a reason to celebrate so I opted to create a design with these fun bright colors and using a new release stamp set called Air Flair. I think its so appropriate for this type of event. I then added THIS single graduation hat image and THIS graduation sentiment to create my tag. I used C-6 and C-7 Copics to color in my cap and a gold glitter pen for the tassel. So how about the box? And where is that gift card? Here is a list of all the dimensions for the 3 main pieces of cardstock that you will need. I used Still Waters, Turquoise Gem, and Sweet Pea for my box pieces. But before I get to putting my box pieces together, I decided to create my own background design first. I opted to create an entire 8 1/2 x 11 sheet using the Cottonball white as my base. 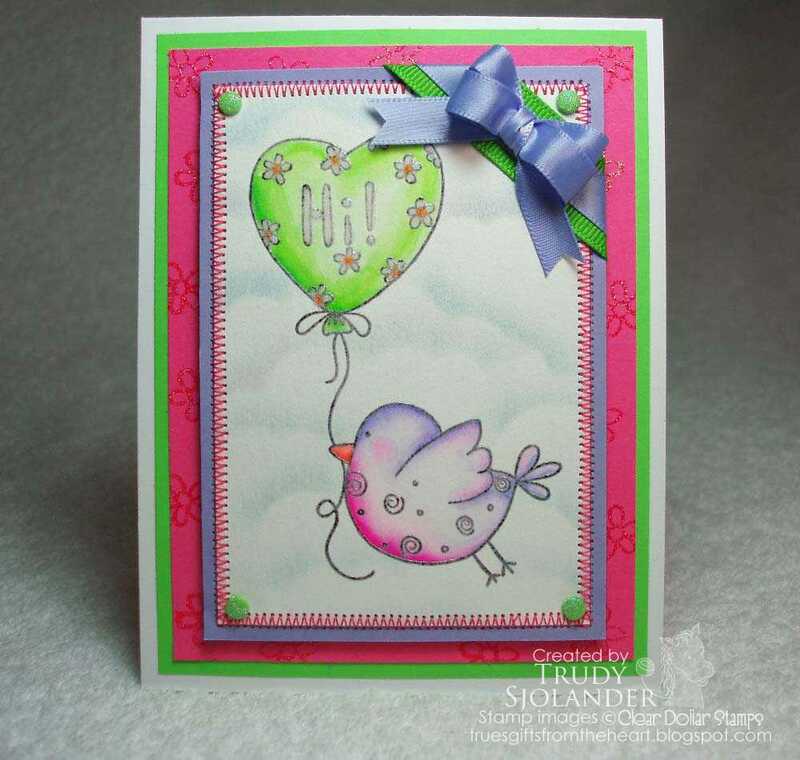 I started with one color and stamped the balloon image. I wanted this first color spread out because I knew that I was going to be adding more colors. Click HERE to see a tutorial with more detail about RANDOM STAMPING. Next I added my balloon basket. Then I continued in this fashion once color at a time until I had 3 different colored hot air balloons. I then added the sentiment and finally the little fluff flower until I had the following design. I wanted a pretty busy background since I knew that I was going to be cutting this sheet up relatively small. So now that I got that done, lets get to the box. The box bottom measures 7 1/8" x 5 5/8". You will want to score all sides at 1 1/2"
Don't put together yet though... you will want to add your background paper to the sides first. The INSERT is next and measures 4 1/2" x 6" and you will want to score all sides at 1"
The insert is where your gift card will go. On the inside, center your gift card of choice and mark all 4 corners. Then create a diagonal line across the the marks that you just created. Then you'll want to take a straight blade and cut... you don't have to be exact here and you can always cut a bit more if you have difficulty getting your gift card inside the cuts. Flip your insert over to the right side and place your gift card. Now, you'll apply adhesive to all 4 corners and put together. Place your stamped background pieces onto the BOX BOTTOM. Remember to be aware of which way is up and how it will look when the box is put together. Now, fold flaps and put together. Your insert will fit snuggly inside. To create the LID your piece will measure 4 1/8" x 5 5/8". You will score all sides at 3/4". Cut your background pieces for the sides and top. This will really depend on if you want a mat and/or how much of the box you want to show. Here is your finished Gift Card Box. I used coordinating ribbon from the Summer Fun Collection. There is even room to add some candy or any other trinket under the insert if you so wish. And finally, I'd like to take you down memory lane to this time last year for some fabulous ideas for gifting money at graduation time. 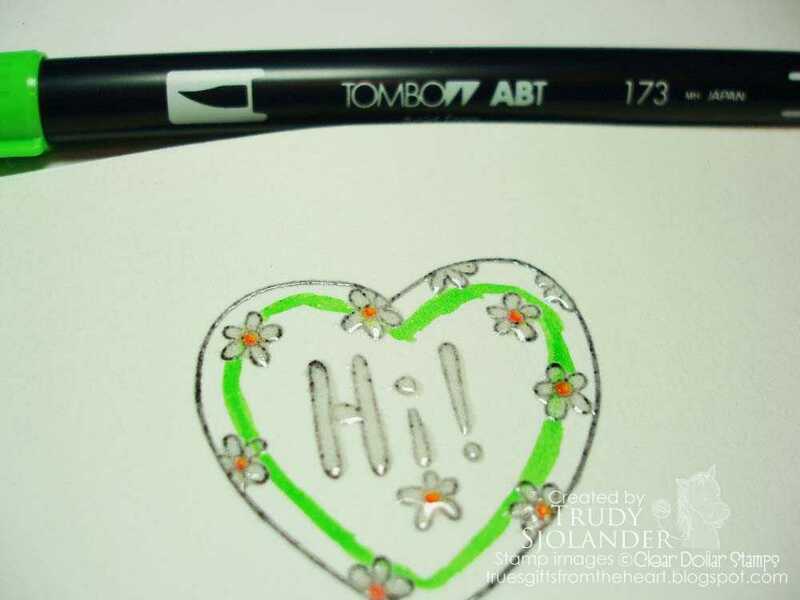 Thank you as always for joining us here at Clearly iStamp and hope you are always inspired in one way or another. Have a fun and crafty day. Hi friends, its Katie here to welcome you to a FUN FRIDAY! Lori's been at it again and has created another free Downloadable PDF for you to create your own background paper. If you missed it earlier, Lori's first background PDF can be found in THIS POST (just scroll down). Before I get to today's freebie which is available in a small, medium, and large scale, I wanted to share with you a couple of ways that you can use these backgrounds to create your own look or customize them to the exact colors you want. Your first option is to create entire 8 1/2 x 11 sheets and save for future use or you can print smaller pieces of cardstock. I have no idea how other people do it, but this is what I do and it works for me. For this example, I cut a piece of silk lightweight watercolor paper and a piece of neenah white cardstock. I used a very small piece of ATG tape (literally just 1/4" worth) to tape these pieces onto an 8 1/2 x 11 printer paper. Then I put the whole thing into the printer. Here is your peek at the NEW BACKGROUND. Gently remove your cardstock pieces. Here is a sampling of the three different scales. But before we get there... here is another option for you. You can print right on colored cardstock and create your own backgrounds this way. You can color or you can leave plain. Here are some examples of backgrounds and cards that I created for you. This one uses the background printed on plain silk watercolor paper and the neenah cardstock. 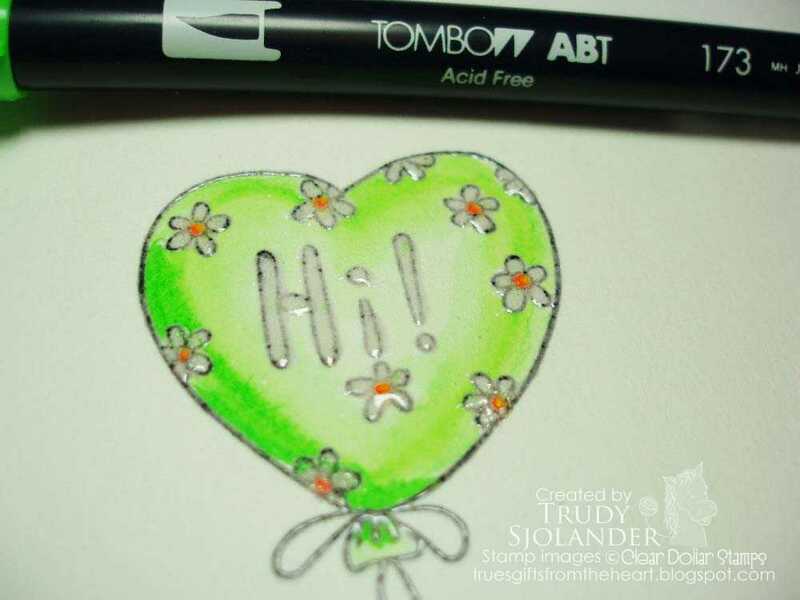 I used Copic RV06 (bubble gum) and YR07(tangelo smoothie) and Tombow 755 (bubble gum) and Tombow 925 (tangelo smoothie). Here are some cards using these and other backgrounds. This sentiment comes from the set called Words of Gratitude. I wanted the focus to be on this fun background and used the largest scale for this background. Next up is the background printed on Tickled Pink cardstock. I used an image from Fashionably French and colored the dress with Copic Marker RV04. It was cut using Spellbinders Labels 8 with the addition of stain and silk ribbon. And one last one using Turquoise Gem cardstock. I opted to color in some of the circles for a different look. I used Still Waters to mat and the image is from Cute Caboose. Accent ribbon is Sweat Pea. So how about that FREE background! 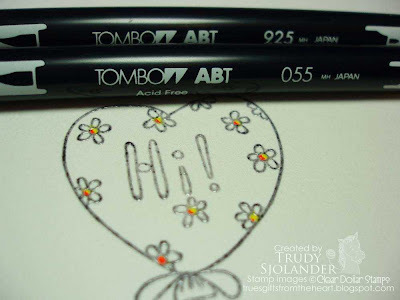 Remember to test your printed background for fastness with either your Tombow and/or Copic markers. You may need to heat set or let sit overnight. Thank you for coming to visit and I hope you have fun with and enjoy this new downloadable background. Hey Friends its Katie here. 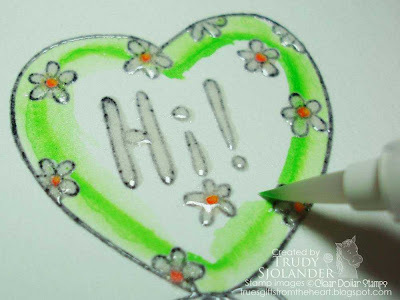 Happy Tuesday and welcome to a flowery day here on Clearly iStamp. 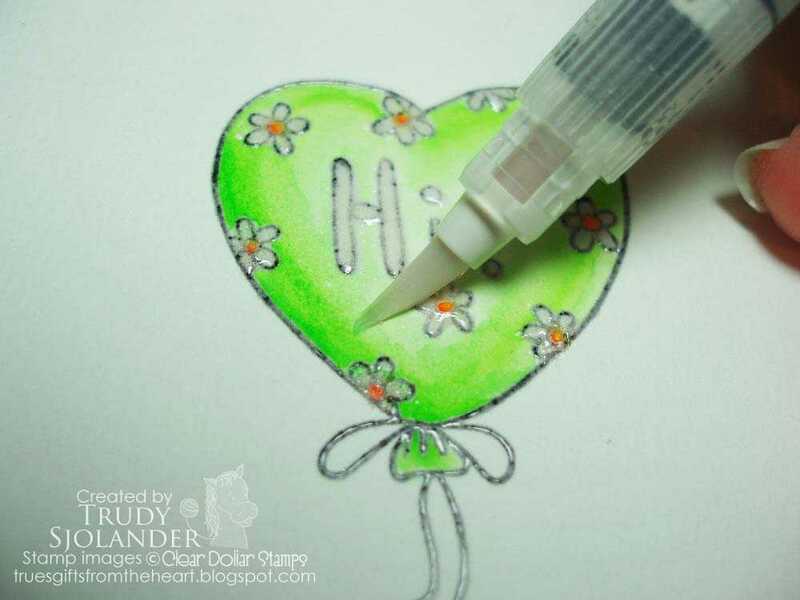 In honor of our monthly challenge this month and with the theme of FLOWERS, I felt it was appropriate to take a look at a couple of methods of creating some fun flowers for your cards/projects as well as some wonderful floral stamps available at Clear Dollar Stamps. I decided to make a flower from some tissue paper from I don't remember where, but I'll be sad when its gone. I used the Blossom Nestability Dies to create the different sizes in order to create this layered flower. Because the tissue paper is so thin you can layer it up and cute quite a few at a time. Next, layer the 3 sizes of tissue paper. Notice the floss to the right? All you need is one strand. My last step is to use my floss/thread and wrap it around my tip and tie into a knot. The reason I do this for this flower is that it keeps it more dimensional and lifts if up more than just scrunching it together. Trim edges and then just fold out. The more crinkled the better. You've got loads of room to play with. I then attached it with a thin pop dot to my card front. This is one of those cards that you'd want to hand deliver due to the fragility of the tissue paper. I used a sentiment from Words of Sympathy and used the Labels 8 Nestability to cut it out. Oops... are you looking closely at my cardstock and ribbon... shhh... don't say anything. ETA... the embossing folder that I used is a cuttlebug folder called Victoria. Another fun way of creating a floral theme is by using stamps that aren't "flower" stamps. Here is a great example. I grabbed a set called Sweet Circles which was the February Stamp of the Month... gotta tell you stampers, you need to grab these up when you get the chance. But... you can get the same effect using Circle Chit Chat or Circle Somethings. First stamp, punch out, and in my case I attached my button and then used scissors to create my petals. The button creates a ready and easy guide. After you are done snipping just use your finger tips to play with the petals. You want them "teased". 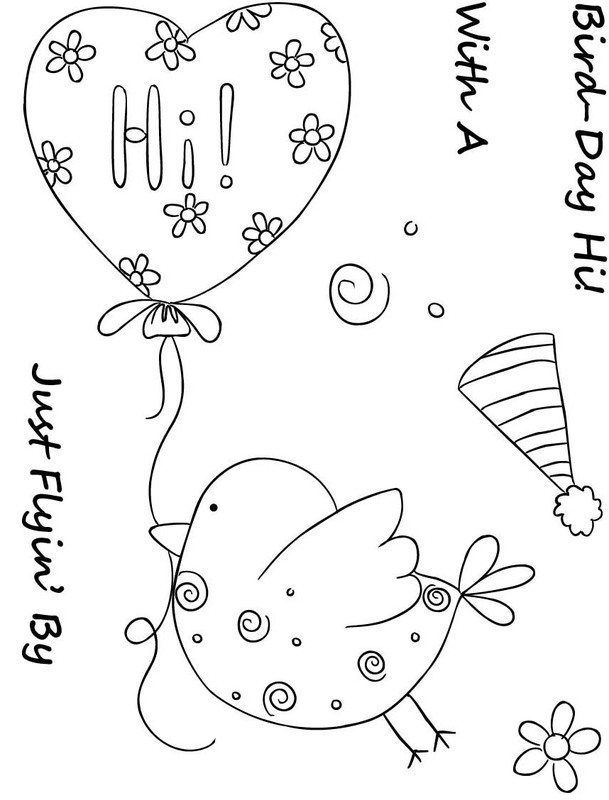 Here is my card that I created with these "flowers". I used Bubble Gum cardstock on Cottonball White and paired it with some yummy Tangelo Smoothie satin ribbon... all from the new Clearly Coordinating Collection. My sentiment came from a set called Sweet Symphony. And now for my final flower card comes from a Flower of the Month. If you didn't know Clear Dollar Stamps has entire year's set of flower stamps. You can purchase the entire set at a discount too. Because it is the month of May, I focused my next card using the May Flower... one of my favorites. I colored with Copic Markers (G94 and YG63) and then added Ivory Flower Soft for the perfect embellishment. I showcased this gorgeous stamp with Billowing Clouds and Cottonball White Cardstock and the coordinating Billowing Clouds grosgrain ribbon. So that's it for me...I hope you have a great Tuesday and remember to go visit our monthly challenge! It's digital release day! Now there are two fun days a month! These digital images whip up in a snap and download in a flash! If you are new to digi images and want some basic tips, make sure to take a look through this post for some tips and instructions! We may as well start with the digi that is free this month with any purchase! This strawberry is just darling and perfect for a card for all your friends! This darling little scene has to be one of my favorites! Friends come in all shapes and sizes and bonds magically form over a special dinner shared together! This set is perfect for all of your bird loving fathers and friends! When Laurie told me she wanted to do a duck on a pond, I was so excited! Why? Because my dad has a duck pond behind his house that I get an update on every time I call.....so this will make a perfect card for him! These little guys color up so cute....you can never have enough stamps and digis to make cards for your friends! 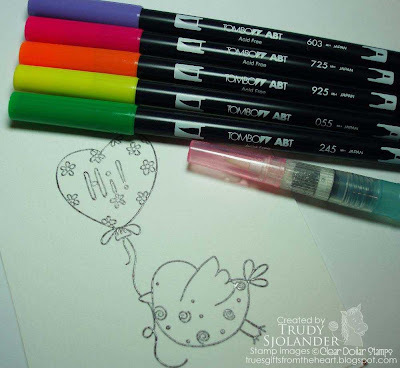 Just hop right over to the store to add these to your cart....so cute and easy to color up! We hope you enjoy our digi releases this month! We'd love to see some of your creations....just post a link to them with your comment! 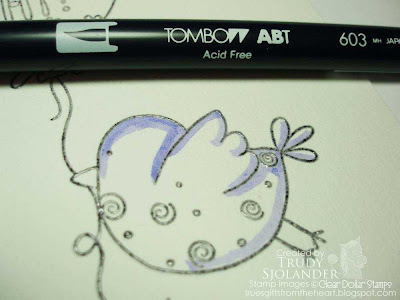 Today I am going to show you how to use Tombow markers to color and shade the new "Bird-day Hi!" 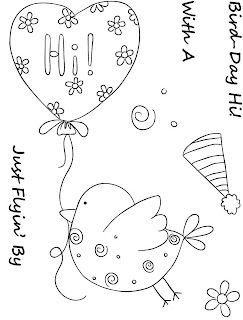 image, that I illustrated, for Clear Dollar Stamps. There are lots of ways to use Tombows, but today we are doing a technique that gives you a pastel look with lots of shading, but without the need for multiple shades of the same colors. 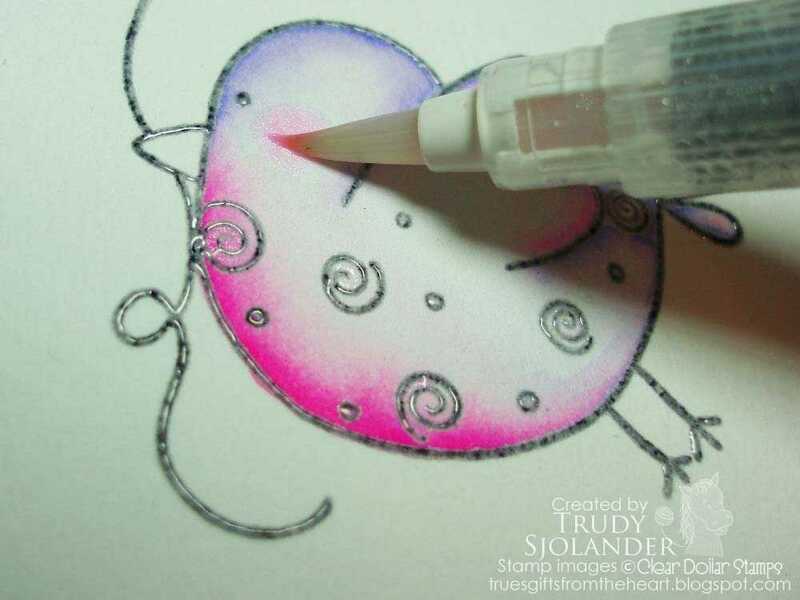 With this technique, you will use very little ink. I highly recommend using watercolor paper! 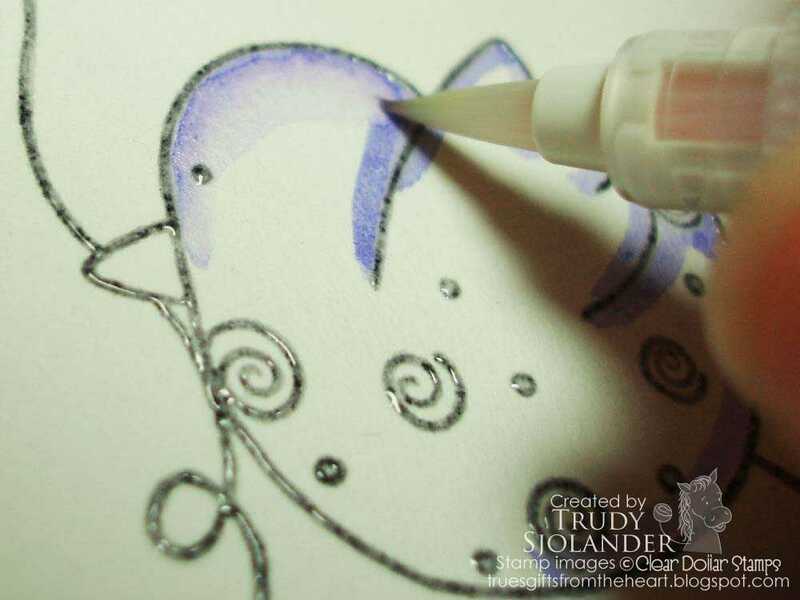 Regular cardstocks don't give you the "working time" you need to blend because the Tombows soak right in, and you will get harsh lines. Regular cardstocks also tend to pill up when you go over them very much with water. I didn't want harsh, dark outlines since I wanted to keep the image soft so I inked up my stamp with Staz-On - Jet Black then straight into the VersaMark pad. (note: you will ruin this VersaMark pad for other uses but, there is nothing wrong with having more than one!) 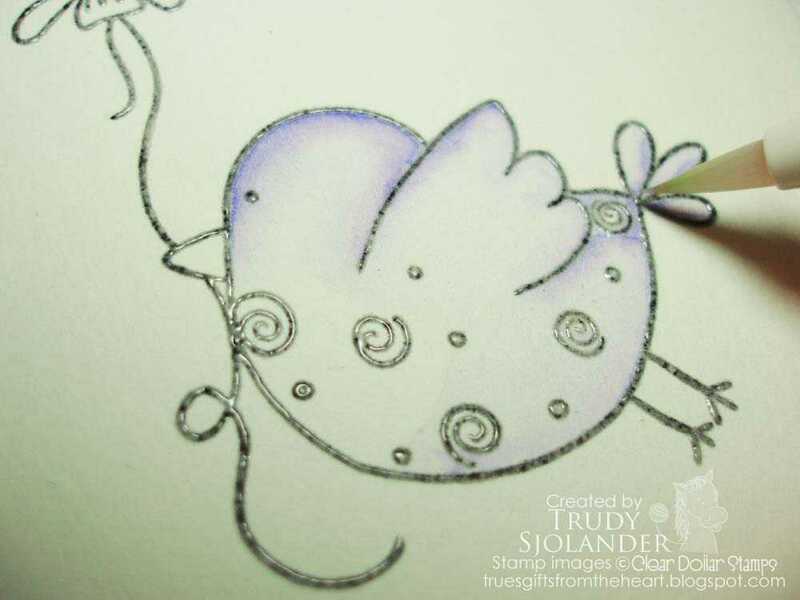 I stamped the watercolor paper, sprinkled on some clear embossing powder, shook off the extra, and heat embossed it with a heat gun. 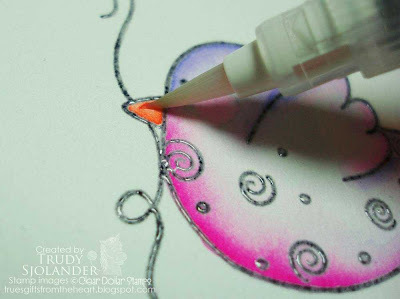 You don't have to emboss the image but it sure helps keep the colors in the lines when you are using lots of water. I used a water brush because they make flowing on the water very quick and easy. You can use a regular paintbrush with water if you choose. Always clean your brush between colors unless stated otherwise. Remember, you can click on any picture to enlarge it for better detail. Lay down your Periwinkle as shown in the photo. With your brush, pull out some color in a back and fourth motion as you go. This will do the shading for you. This is what it will look like after you have blended all of the Periwinkle. Now lay down your Rhodamine in just a thin line in the area shown in the photo. Blend it the same way pulling color to the center, getting lighter as you go. 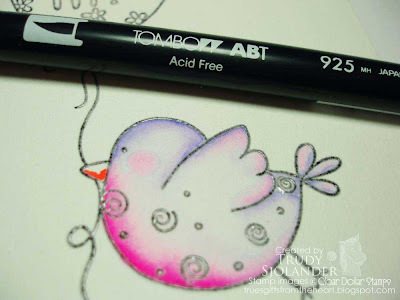 Before rinsing your brush, you can use the thinned color that is still in it to make rosy cheeks and add a little pink to the wings and tail. With your Tangelo Smoothie, add just a little ink to the lower part of the beak. Blend as you did the other colors. Dot the centers of the flowers with Tangelo Smoothie and Bee Pollen, then touch each with a dab of water to blend. Lay in a line of Lime Juice in the area shown in the photo. Blend with water from the line out, then from the line in. This gives you that "balloon" highlight. I went back with a little more Lime Juice for a bit darker shadow. Smooth out the line with your brush. 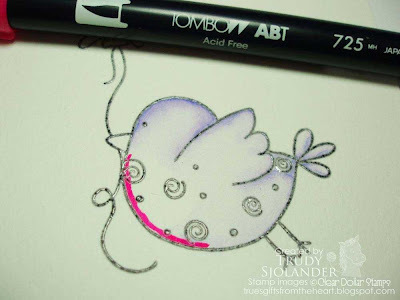 If you would like to see how to do the chalked cloud background, I have a tutorial on my blog. The Clearly Coordinating Collection Cardstocks are: Bubblegum, Lime Juice, and Budding Lilac. The Clearly Coordinating Collection Ribbons are: Lime Juice and Budding Lilac. Notice how perfectly they match the colors on the card? Clear Dollar Stamps has made it soooo easy to coordinate, Tombows, Copics, cardstock and ribbons with their "Clearly Coordinating Collections"! My double bow was made using a Bow-Easy. It makes perfect bows every time! Then you can pop on over to my blog and see more pictures of this card! Hi friends! Its Katie here and that must mean its Tuesday! Well you are absolutely right and today's card features some great products from Clear Dollar Stamps that all work so well together. Today's project is also meant to get you inspired to come and join us for our Monthly Challenge. If you haven't read all the details, make sure to --->CLICK HERE<--- to get all the info. 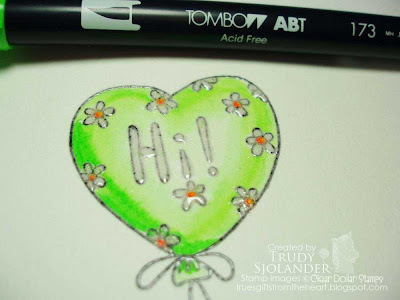 This month's challenge is all about the FLOWER! 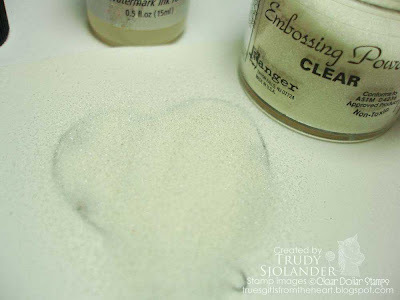 So with that said, I wanted share with you one of my most favorite ways to create glitter objects. The basic materials are included in the picture below. So the first step is to cut the Scor-tape to the correct size. If you aren't familiar with Scor-tape it is a double sided adhesive sheet. It is available in a package of 6x6 sheets and just new to the store, you can purchase single 8 1/2 x 11 sheets too. In this case, I decided to go ahead and cut the entire set of flowers with this die. Then cut a piece of cardstock according to size. I use cardstock to give my pieces more stability and I find that the Neenah is perfect. Then peel off the brown layer and place it directly onto the piece of cardstock. So the picture below is the piece of cardstock and then the Scor-tape adhered onto the top of that. Now, create your cutting sandwich. I'm using a cuttlebug so I ended up using a "shim" which just means I used an additional piece of cardstock to create a tighter sandwich which means a better cut with the die. My extra "shim" is another piece of Neenah cardstock. Click --->HERE<--- to find out more about the cuttlebug cutting sandwich with your nestabilities. Here is what your cardstock with scor-tape looks like after its cut. I will be honest and say that you might have to work at some bits here and there to get them to pop up or even a sharp pair of scissors, but overall the pieces come out quite nicely. After your pieces are punched out, then peel off that top layer. Then its just time to pour that glitter right on over. Then just flip over and smoosh like crazy so you get good coverage. For added measure, I placed my glitter flowers on my paper, folded over, and then took a brayer and just rolled over and over to make sure I got as much glitter onto my pieces. And there you go. For my eventual card, I opted to pick the same flower shape and use two different colors of glitter. AND definitely don't forget your Glitter Cloth for easy clean up. You can see a more detail product review HERE. I paired these glittery beauties with some Basic Grey Euphoria, Bubble Gum and Tickled Pink (Summer Fun) cardstock from the Clearly Coordinating Collection, and Bubble Gum satin ribbon. And topped it off with some Bling it Basic Grey rhinestones. Thanks for stopping by and remember, you've got all month to join in on the fun with our Clearly Inspired Flower Challenge.